One of the finest golf clubs in the Illawarra region is on the verge of an historic amalgamation. 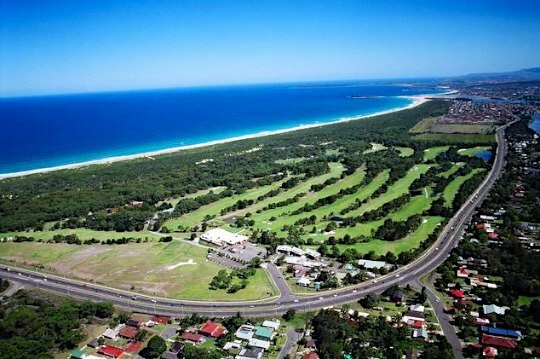 The Port Kembla Golf Club called for formal expressions of interest for amalgamation in June this year and have recently entered into an ‘exclusive dealing period’ with one of the largest and most profitable Clubs in the Illawarra, Wests Illawarra. Port Kembla Golf Club have been a leading course in the region with a history dating back almost 60 years on a parcel of land that is in close proximity to both the ocean and Lake Illawarra at Primbee, to the south of Wollongong. The golf club proudly boasts former PGA champion Steve Elkington as a member and underwent an extensive renovation of the course by noted course designer, Ross Watson, in recent years. The president of the golf club, Lynton Nicholas, said although the club is trading profitably it believes that it will be strengthened, and ensure its continuity, by this partnership with a large, successful club. Following the dealing period, the two Clubs will negotiate a Memorandum of Understanding for amalgamation in the coming months, with any amalgamation proposal subject to the approval of the members of both clubs.